Today the Trump administration released its budget blueprint for the federal government for the upcoming fiscal year. This budget requests no funding from Congress for NEH for fiscal year 2018, which begins on October 1. We are greatly saddened to learn of this proposal for elimination, as NEH has made significant contributions to the public good over its 50-year history. But as an agency of the executive branch, we answer to the President and the Office of Management and Budget (OMB). Therefore, we must abide by this budget request as this initial stage of the federal budget process gets under way. It will be up to Congress over the next several months to determine funding levels for fiscal year 2018. We will work closely with OMB in the coming months as the budget process continues. Since its creation in 1965, NEH has established a significant record of achievement through its grant-making programs. 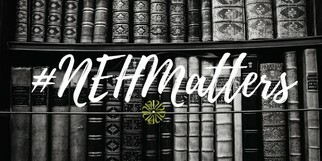 Over these five decades, NEH has awarded more than $5.3 billion for humanities projects through more than 63,000 grants. That public investment has led to the creation of books, films, museum exhibits, and exciting discoveries. The agency is continuing its normal operations at this time. These grants have reached into every part of the country and provided humanities programs and experiences that benefit all of our citizens. Residents in Whitesburg, Kentucky are preserving the photographs and films of their local Appalachian region through Appalshop cultural center. Veterans returning from war in Iraq and Afghanistan are using their experiences to perform in the Aquila Theatre’s Warrior Chorus. Students, teachers and historians have access to the papers of Founding Father George Washington, which have been carefully preserved and catalogued. Through these projects and thousands of others, including the vibrant network of state humanities councils, the National Endowment for the Humanities has inspired and supported what is best in America. As always, thank you for your hard work and energetic support as we all work to ensure the future of the humanities throughout our nation.